Situated in an attractive region of Lower Silesia, Legnica is one of the first known Polish towns, though it now plays the role of a local provincial centre. 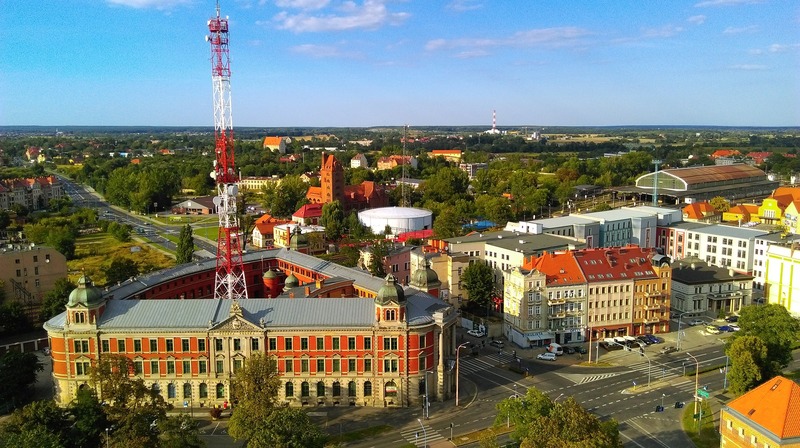 Legnica has two faces: it is an ancient city with a multicultural past and an abundance of historical sights, and also a modern economic centre of the copper industry. 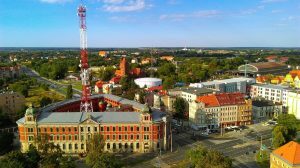 The dynamic town of Legnica is mostly known as a minor industrial centre with several copper processing plants. It has over 100,000 inhabitants, being the third largest city of the province. Legnica is also visited as a transit town with the A4 Motorway (with easy access to Krakow excursions) and E65 running through it. However, Legnica also has many historical sights that are traces of its long history. Among them, the most interesting are the Medieval castle and Lubiaz Abbot House, which hosts the Musuem of Copper. There are also many old churches, including St. John’s, St. Peter’s and Paul’s and St. Mary’s. The Old Town district of Legnica has a nice market square with a Baroque Town Hall in its middle. Another noteworthy building is the Jesuits’ College. Legnica is situated in the Lower Silesian Province, it takes about an hour of driving to make a trip to Wroclaw. The area of the town is crossed by three rivers: the Kaczawa, the Czarna Woda and the Wierzbak. The history of Legnica starts as early as the 9th Century, when the centre of the copper industry emerged there, but there were ancient settlements on this site even earlier, described by Ptolemy. First mentioned in 1149, it received city laws about a century later. Legnica was the capital of a separate duchy ruled by Piast princes under the Czech Crown for a very long period of time – the last ruler of the Piast dynasty died in 1675. Then the area fell under Habsburg and later Hohenzollern rule. Legnica is believed to be the hometown of Vitello (1230-1280), outstanding physicist, scientist and philosopher of the Middle Ages. In the 16th Century, Legnica became a centre of the Protestant movement. The town suffered seriously during the Thirty Years’ War, never again reaching its previous level of prosperity. The Silesian wars in the 18th Century fortunately excluded Legnica. The town hosted foreign armies again during the Napoleonic Wars, and in 1813 the Battle of Kaczawa between Napoleon and allied Russian and Prussian troops took place nearby. In the 19th Century, Legnica developed into a modern capitalist town within the borders of Prussia (and later Germany). After being seriously damaged during World War II, Legnica was incorporated into Poland and gradually rebuilt. For a short period of time, it was the capital of the province, as Wroclaw had been mostly destroyed. Until 1990, the town was the headquarters of the Northern Group of Forces of the Soviet Army that were deployed in Poland. Its copper processing traditions were resurrected in 1950. In 1993, the last Russian soldier left Legnica.